“E” is for Engagement: How can YOU be engaged in ALSC? In the past, I’ve mentioned some of the great work that ALSC committees and taskforces are doing – from choosing the next award-winning media to creating toolkits and webinars that help library workers better serve all children to sharing advocacy resources and tips that can help librarians advocate for funding. The work of all our process and media and professional award committees (supported by our amazing ALSC staff) keeps our association moving strategically forward. Activities can be conducted virtually, in-person, or both depending on the specific committee, taskforce, or working group. By participating in association work, ALSC members engage in activities that strengthen both the soft and hard skills that they use daily in their multifaceted jobs as educators, social activists, book enthusiasts, media mentors, literacy experts, outreach specialists, diversity advocates, and/or library staff serving children (which includes the aforementioned “hats” and more!). Engagement in ALSC benefits not only our individual members but the communities they serve and their employers. 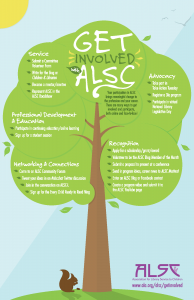 Are you engaged in ALSC activities? Do you want to be? This time of the year is ripe with opportunities for engagement via elected positions and appointments. In about a week (March 11-13), the 2019 ALA Election Ballots will be distributed to our members via email. On the ballot, you’ll find ALSC members standing for election for ALSC president-elect, board members, and various award committees within our association. This is your opportunity to be engaged and elect the next leaders within our association as well as members of prestigious committees. The election is open until April 3rd and results will be announced on April 10th. You might ask, how did these lucky folks get their names on the 2019 ballot? The ALSC 2019 Nominating and Leadership Development Committee, lead by Andrew Medlar and his awesome committee members, solicited names last year and created the ballot, filled with eager volunteers willing to become engaged in our association. Want to get your name on the 2020 ALA Election Ballot that will roll out this time next year? Be on the look out for information in the next month or so from the 2020 Nominating and Leadership Development Committee chair Thom Barthelmess. He’ll send out a call for volunteers to serve on the 2020 ballot and his committee will also reach out to members, asking them to stand for election. Are you interested in engaging in ALSC committees but not interested in the positions listed on the ballot? If so, then you should fill out a volunteer form as soon as possible. Vice President Cecilia McGowan has just started making her first committee appointments. Information on the appointment process and timeline, as well as a link to the volunteer form which lists all the volunteer opportunities is available here. Maybe you are interested in engaging at a higher level – serving on the ALSC Board of Directors or standing for vice-president/president elect? Perhaps you’d like to find out how to be a priority group consultant or learn about other pathways to engagement as an ALSC leader. Our next ALSC Online Community Forum will be held in May (date and time still to be decided), and hosted by the 2019 Nominating and Leadership Development Committee. Attendees can learn about the various leadership positions within ALSC, talk to current and past ALSC leaders, and discover an exciting path to a whole new level of engagement. Additional information will be shared in the forthcoming weeks. Don’t have the ability to participate on an ALSC committee at this time? Another way that you can be an engaged member of ALSC is to participate in ALSC events and host programs celebrating our core values of collaboration, excellence, inclusiveness, innovation, integrity and respect, leadership, and responsiveness. What follows are several upcoming events and program planning opportunities that can jumpstart your path to engagement. In just over a month on April 13th, our 2019 Arbuthnot Lecture, hosted by the Cooperative Children’s Book Center (CCBC), the University of Wisconsin – Madison iSchool and UW-Madison School of Education, will feature blogger and educator Dr. Debbie Reese. Founder of the American Indians in Children’s Literature (AICL) blog, Dr. Reese will deliver a talk titled “An Indigenous Critique of Whiteness in Children’s Literature.” Tickets to the lecture are free and available here. Unable to attend in person? The lecture will also be livestreamed and information about how to connect will be available here on the CCBC website. The CSK Award is Turning 50! The Coretta Scott King (CSK) Award turns 50 in 2019. 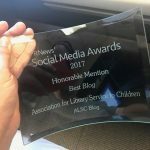 Recently, Dr. Claudette McLinn shared information in an ALSC Blog Post about various celebrations, events, and activities at ALA Annual and throughout 2019. Among the topics, Dr. McLinn mentioned was the 50-50 Initiative which is a challenge for librarians, educators, teachers,and book lovers in each of the 50 states to organize and host a program or other event celebrating the CSK awards in general or a specific award-winning CSK author or illustrator. These activities can occur anytime in 2019. I’ve already started brainstorming how I can partner with my local public library on an event. What are you doing? Since we are on the topic of planning programs to celebrate cultural diversity and diverse authors and illustrators, what are you doing for Día or Children’s Day/Book Day? Have you been hosting Día programs throughout the year? Día is a nationally recognized initiative that emphasizes the importance of literacy for all children and promotes opportunities for children and their families to make cross-cultural connections. 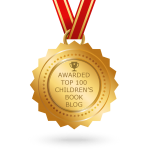 This year-long celebration of connecting children and diverse books was created by award-winning author and poet Pat Mora and culminates every year on April 30th. 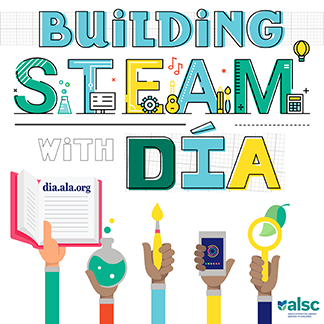 Institutions all over the country are encouraged to register their Día events on the ALA Día website as a way to get broader publicity of their activities. The website also contains beautiful graphics, curated booklists, program guides, and more to help you plan and deliver a dynamic Día event, promoting diversity in action! This year ALA affiliate organization REFORMA (The National Association to Promote Library and Information Services to Latinos and the Spanish-Speaking) has announced a mini-grant application to support Día programs that celebrate Latinx culture. REFORMA will award five grants of $300 each. Winners will be announced on March 22, 2019. So what are you doing for Día? I look forward to hearing how you are connecting all children and families with diverse books via Día programming all throughout the year. Are you an activist for marginalized and underserved populations? Do you want to be? How can you put action behind your desire to create spaces where all children from all cultural backgrounds are welcomed? These topics and more will be explored during in my Charlemae Rollins President’s Program “Subversive Activism: Creating Social Change Through Libraries, Children’s Literature, and Art” at ALA Annual in Washington, DC. This high energy presentation, planned by Johanna Ulloa Girón and Dr. Marianne Martens, examines activism and social change through multiple lenses: first from two scholarly leaders, Dr. Nicole Cooke from Library & Information Science and Dr. Janina Fariñas from Pediatric Neuropsychology; then from acclaimed children’s book author/illustrator Yuyi Morales; and finally, from Dr. Karin Perry’s sketchnoting that will document this dynamic event. If you are at ALA Annual on June 24th, I hope to see you there! Still looking for other ways to engage? The ALSC website has a page dedicated to helping members engage with ALSC and includes suggestions for engagment beyond committee work and attendance at ALSC events. Among the suggestions are helping out as guest bloggers, hosting an ALSC Roadshow, and serving as an ALSC mentor or mentee. I am looking forward to your sustained or future ALSC engagment and working along side each and every one of you as we engage communities to build healthy, successful, futures for all children.